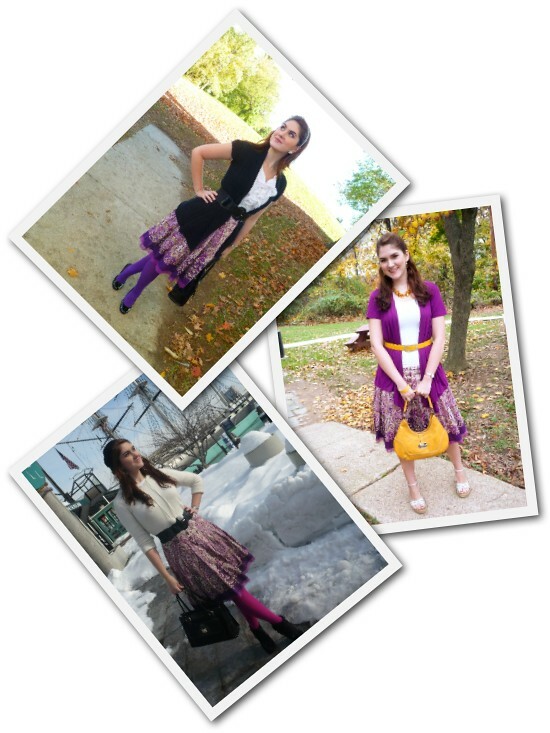 The Joy of Fashion: Rainbow Challenge: Front row Runway seats! Went to the second day of an Art & Fashion festival. 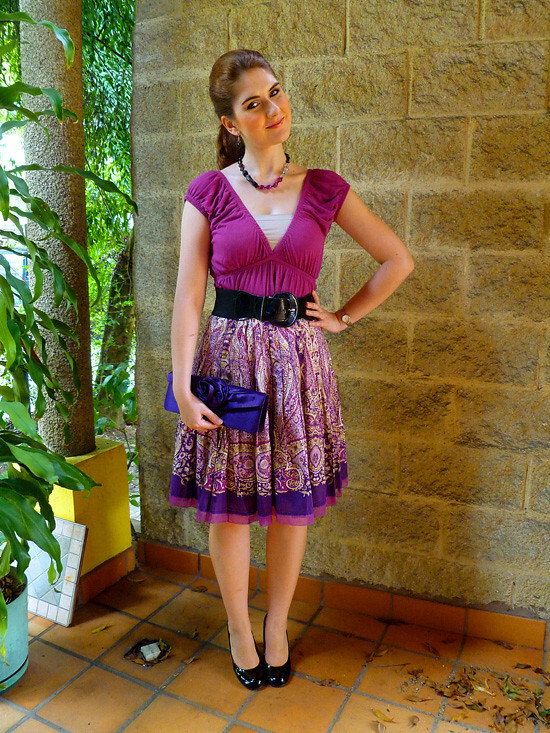 Today's color for the Rainbow Challenge was purple, so this is the outfit I came up with. 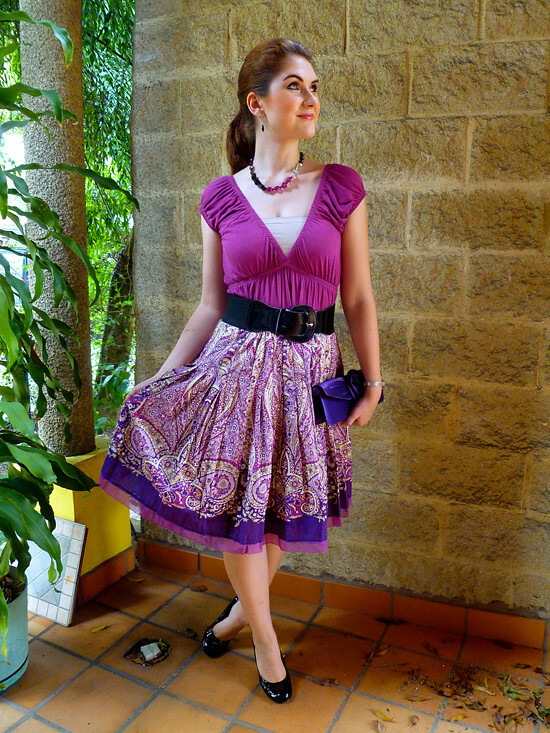 I like how the purple of the top and the purple of my clutch play with the two purples of the skirt. Today I went once again to the Art & Fashion festival I talked about yesterday. 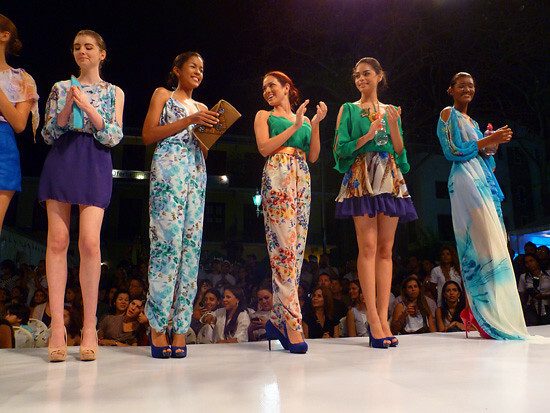 I had soooo much fun today, especially since there were more designers than yesterday. I even managed to get front row seats!!! Weeee!!! All the pieces were so fun, light, and colorful. I wish I could have the entire line! Simply beautiful. Ahhh, I saw a pair of orange pumps just like the pair in that designer's collection and I wanted them SO bad. I can't walk in heels that high though, so I'm still looking around hoping for a 3 inch version, haha! Such a lovely dress! I love purple so much. You look fun and cute. What a wonderful opportunity! Looks like it was a lot of fun! That looks like so much fun! I'm glad you had such a good time AND scored front row seats! I really adore this skirt. I need to find some that are this length so that I can wear them to work! 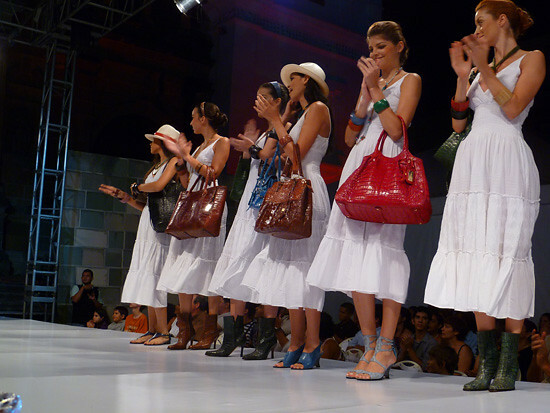 What a great fashion event, the designs are so lively and colorful, there are a few i'd love to wear! 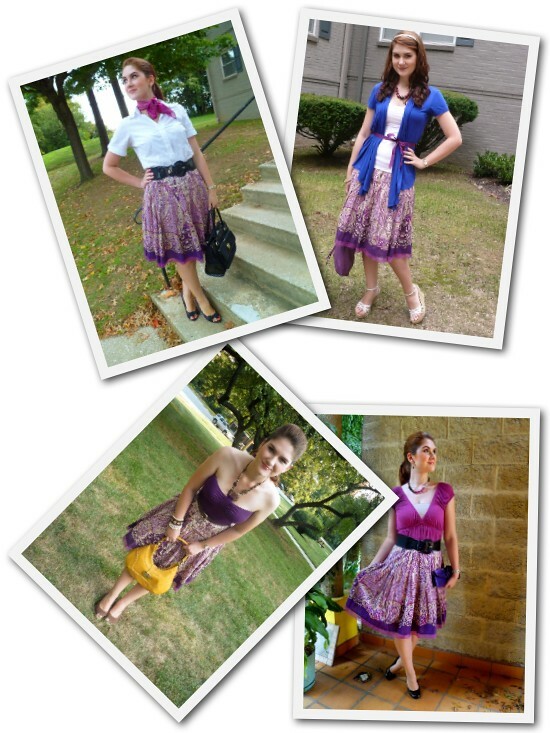 your purple skirt is so pretty, glad you had a good time!